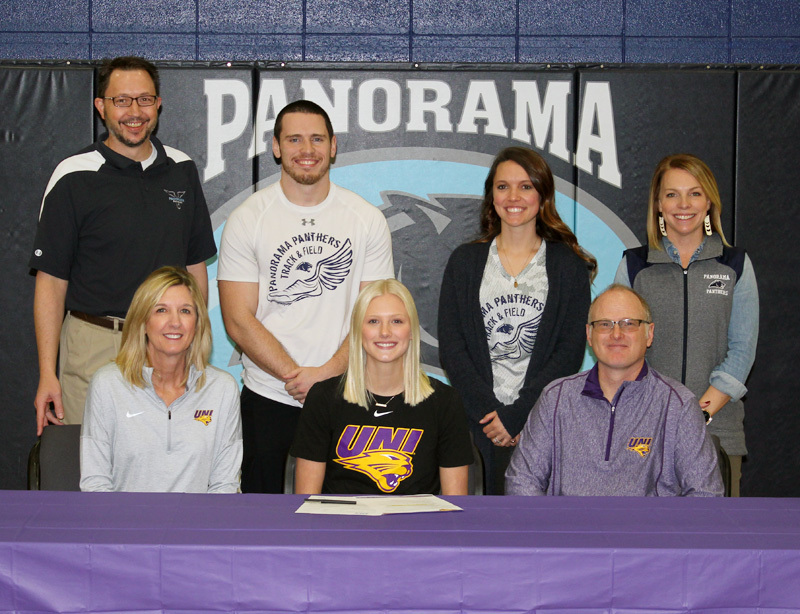 Flanked by mother Kim and father Mitch, Panorama senior Morgan Johnk signs a Letter on Intent Tuesday to continue her stellar track career for the University of Northern Iowa. Panorama head coach Greg Thompson, assistants Caden and Lindsey Duncan and Athletic Director Erin Kirtley join Johnk for the happy occasion. Photo submitted. PANORA — The University of Northern Iowa women’s track team received a big lift Tuesday when Panorama senior Morgan Johnk, one of the best high jumpers and hurdlers in the state, signed a Letter of Intent to change her Panther mascot from blue to purple. Johnk drew interest from Drake, Central College and Central Missouri State but wanted to stay closer to home. UNI had not initially recruited her, so she took the initiative, and once the Panther coaches did a little research they were sold. Johnk was as well. Johnk admitted having the decision made and out of the way was important to her, as it will allow her to focus on the ongoing basketball and upcoming track seasons. Her track resume is studded with success. 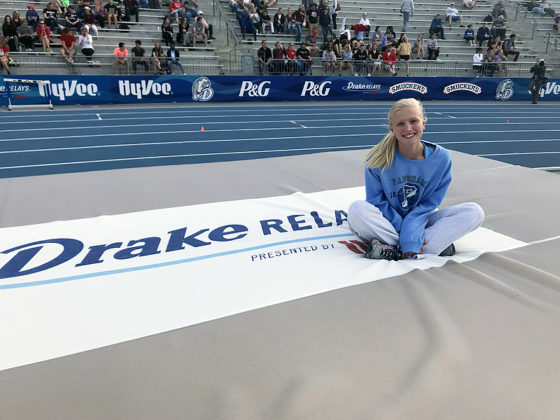 A five-time Drake Relays qualifier, she ran on the shuttle hurdle relay as a freshman, was 12th in the high jump (her specialty) as a sophomore and last year was fourth in the high jump, 14th in the 100 hurdles and ran on the 4×100 team. Johnk was second in the 100 hurdles and anchored the runner-up shuttle hurdle team at the state meet last spring. Along with fourth place in the high jump and as a member of the 15th place 4×100 she earned IATC All-State recognition as the Panthers finished third. She is a 12-time state meet qualifier and as an individual or relay member has been a part of eight WCAC event championships while helping the Panthers will league titles each season. 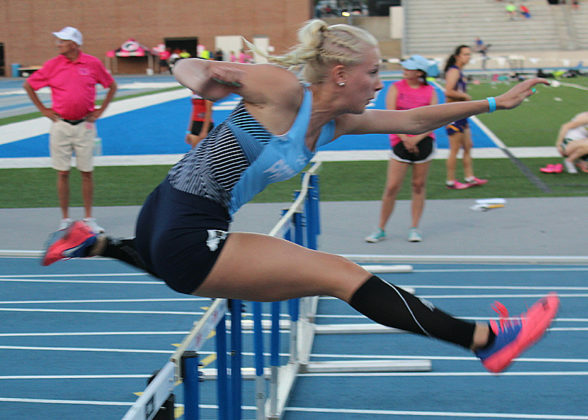 She capped last season as the IATC all-class Pentathlon champion. 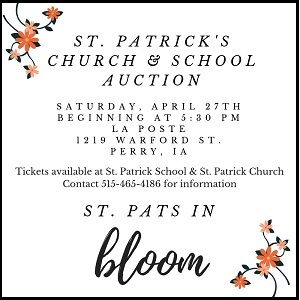 Featuring the high jump, long jump, shot put, 100 hurdles and 800, the event is one which Johnk hopes she might have a chance to compete at in college. Considering her prowess, the Panthers in Cedar Falls have to be pleased with the word of Johnk’s impending enrollment. Panorama junior Morgan Johnk smiles on the landing cushion of the high jump at the Drake Relays last year. The UNI-bound senior has qualified for the event again this year. Photo submitted. Morgan Johnk ran down two opponents to help Panorama earn the fourth-seed for the finals of the shuttle hurdle. Panorama's Morgan Johnk chases Dyersville Beckman's Heather Boeckenstadt over the last obstacle in the 100 hurdles Saturday at the state track meet. Kuemper Catholic's Hannah Irlbeck (left) runs in lane six.